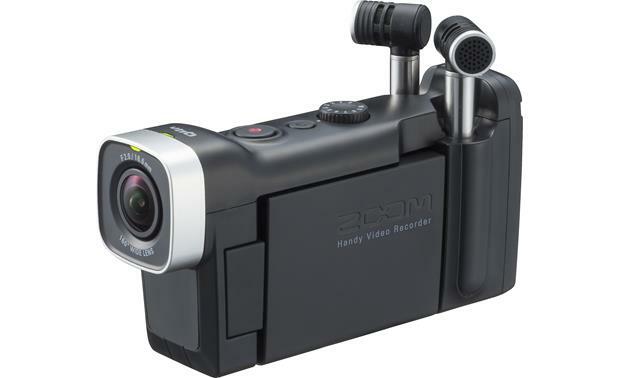 The Zoom Q4n is, ounce-for-ounce, one of the most impressive portable recording devices we've seen. 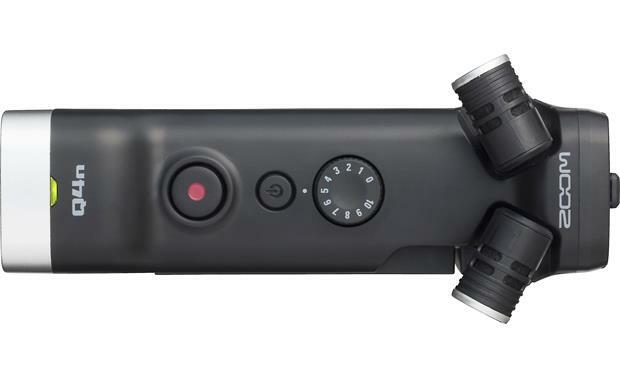 Zoom Q4n - A wide-angle lens takes in 160° images. Zoom Q4n - An A/B mic configuration takes in a wide-angle slice of stereo sound. Zoom Q4n - An X/Y mic configuration lets you focus in on an individual performance. 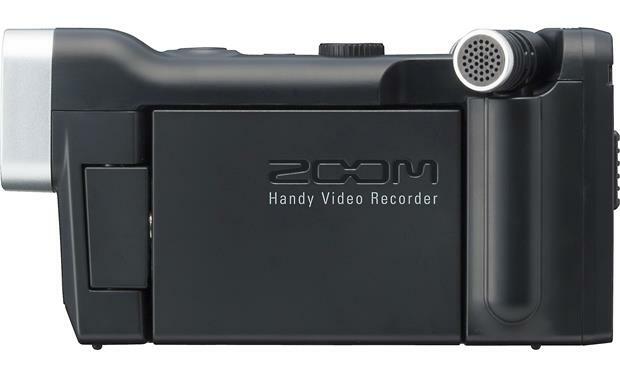 We've seen Zoom pack a ton of useful features into portable recording devices before, but the Zoom Q4n is, ounce-for-ounce, one of the most impressive devices we've yet seen. The Zoom Q4n's retractable stereo microphones can be deployed in a wide A/B configuration (seen here) or a focused X/Y configuration. 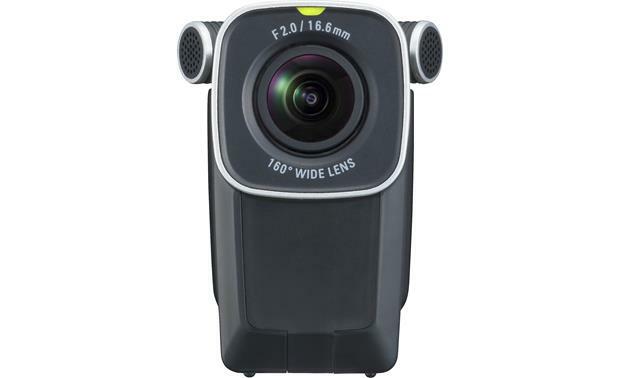 The camera is small enough to fit in the palm of your hand, yet it features a wide-angle lens, HD video recording, and enhanced video performance in conditions ranging from sunlight to low light. 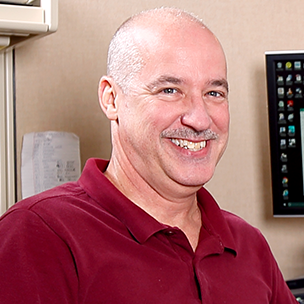 Built-in high-performance stereo microphones can be extended and deployed in an A/B configuration for capturing a broad slice of audio from a room, or an X/Y configuration that can focus on every note of a vocal or instrumental performance. Sound can be recorded in compressed AAC and uncompressed WAV audio formats up to 24-bit/96kHz, making this an ideal choice for recording gorgeous homemade musical performance videos. The rotating 2” LCD touchscreen lets you frame your shots and adjust settings — whether you're behind the camera or in front of it. If you're the production crew as well as the performer, you can make sure the shot is lined up as you go, and make quick changes in the settings menu between songs. Rely on the camera's automatic gain settings, or adjust the levels manually as you need. The built-in stereo mic module and the additional inputs have easy-to-use gain knobs for dialing in your levels precisely. A low-cut switch helps eliminate low-end rumble. And for recording outdoors, the included foam windscreen minimizes rustles from wind gusts. Monitor your recording in real time using the Q4n's built-in speaker or headphone output with adjustable volume control. The Q4n also makes video recording easy. It features eleven lighting modes, ranging from "Concert" for settings with bright stage lights to "Night" for low-light clubs and venues. You can choose "Auto" if you're expecting conditions to change as you go. 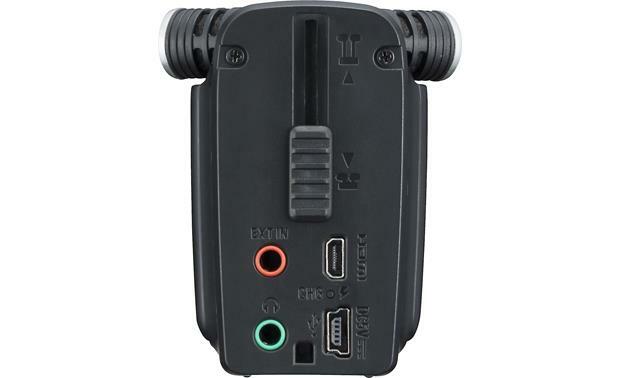 none of the reviews show or tell about charging the battery on the zoom q4n handy video recorder and the charger doesnt come with the recorder in the box. how do you charge the battery? its a mini-usb not the modern micro-usb. I might of had one laying around ,but i remember getting one with it. they're fairly cheap. 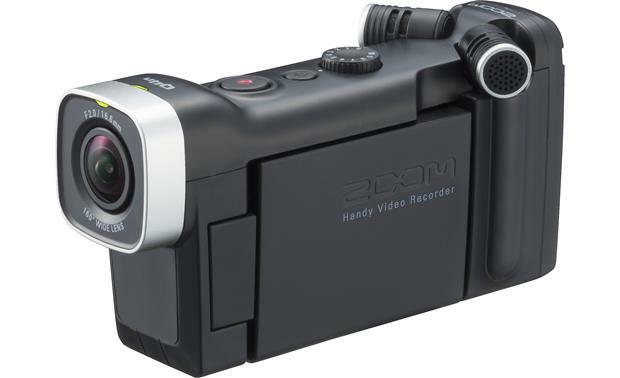 Overview: The Zoom Q4n Handy Video Recorder is a high-definition video and high-resolution audio recorder, designed with musicians in mind. Compared to its predecessor, the Q4, the Q4n has an improved lens with an f/2 maximum aperture, shorter minimum focusing distance (14"), and a wider angle of view (160°), compared to f/2.8, 21.7", and 130° for the Q4. 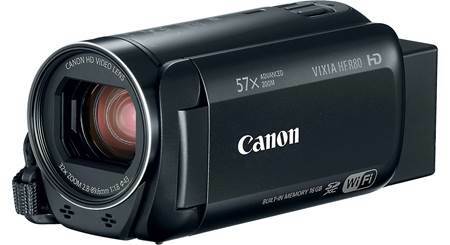 The Q4n also adds digital zoom, and higher resolution video. 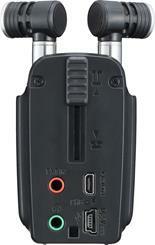 The Q4n can record video up to 3M HD, with hi-res audio up to 24-bit/96kHz PCM. 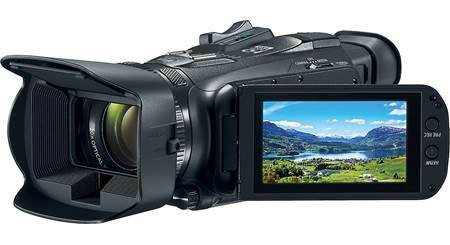 It has a removable LCD screen, and a built-in X/Y microphone system. SD Card Slot: Video and audio are recorded onto SD, SDHC, and SDXC memory cards up to 128 GB. You should use SD cards with a Class 10 speed rating or higher, as well as format the card in the unit, for best results. A list of tested and confirmed SD cards is available on the Zoom website. Lens/Image Sensor: The Q4n features a 16mm fixed focal length lens (35mm equivalent) with an aperture of F2. It can provide clear images from 14.2" to infinity. The Q4n also has a 1/3" 3 Megapixel CMOS sensor for producing the high-definition video images. The Q4n does not take still images. Digital Zoom: In order to change the angle of view, you can apply Digital Zoom magnification to the image. 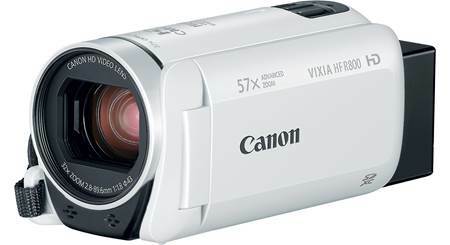 The Digital Zoom can be set to 0.75x, 0.85x, 1.00x (no zoom), 1.30x, or 1.50x. Concert-Low Light: for use in small concert halls with dim lighting conditions. Dance Club: for venues with dramatically-changing lighting, such as a dance club. Jazz Club: for small clubs or similar venues. Concert Hall: best setting for classical concerts, recitals, or other similar performances. Rehearsal Studio: for recording in a studio setting. Garage: best setting for recording band performances in a garage. Outdoor: adjustments are optimized for outdoor shooting. Sunset: for recording outdoor scenes with rich sunset colors. 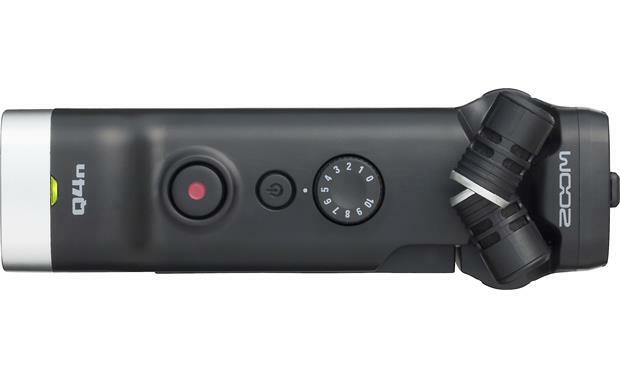 Upside Down: The Q4n can be mounted to a standard tripod, or a 3-pronged action camera mount, to give you a wide variety of interesting angles and perspectives. It can even be mounted upside down. When video is recorded while the unit is upside down, you can invert the video 180° by selecting "Upside Down" in the menu. A/B: When the microphones are aimed away from each other in an A/B configuration, the mics capture the surrounding environment as well as the main sound source. This method is good for recording the reverb of a hall, or for meetings with people talking in different areas of the room. X/Y: In the X/Y configuration, the mics are aimed in a crossing pattern. This captures sound from a nearby sound source with natural depth and width. The result is a 3-dimensional sound stage for solo performances, live rehearsals, and field recordings. 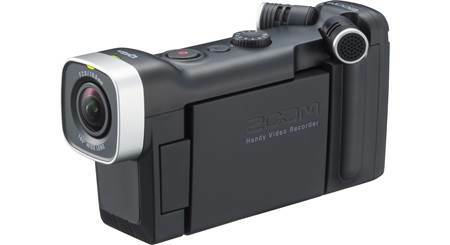 LCD Screen: The recorder has a flip-out, 2" LCD screen for framing your subjects during recording, and to play back your videos. The screen can flip out 90° and rotate 270°, allowing you to view yourself during self-recordings. You can record with the LCD closed to save battery power. Self Timer: You can delay the start of the recording by setting the Self Timer by 3, 5, or 10 seconds. The Self Timer can only be used when the LCD is rotated towards yourself. Battery: The Q4n is powered by the BT-02 Lithium-Ion rechargeable battery (3.7V 1050mAh 3.89Wh). The battery can charged in the Q4n when it is connected to a computer via USB (charging time: about 3 hours), or when connected to the optional Zoom AD-17 AC adapter (charging time: about 2 hours). Estimated battery life is about 3 hours (recording 720p/30fps video with LCD unit closed). You can monitor the remaining battery life in the LCD screen during recording or playback. HDMI Output: A Micro HDMI (Type D) connection is provided for connecting the Q4n to an HDTV. In the menu, you can set the output format to NTSC or PAL. USB: A Mini-B USB 2.0 port is provided for connecting the unit to a computer to charge the battery and to download recordings. Through this connection, the Q4n can be used as a memory card reader, a USB microphone, or a web camera for live video streaming. You can also connect the Q4n to an iPad when using an optional Apple Camera Connection kit. Microphone Input: You can connect an external microphone to the unit via a 3.5mm mini jack. When an external mic is connected, the built-in mics are disabled. In the menu, you can turn on Plug-In Power for those mics that require it. Headphone/Line Output: A 3.5mm stereo headphone/line output is provided for connecting headphones or other audio equipment for monitoring the audio. Mounting: The Zoom Q4n has a standard 1/4"-20 tripod thread on the bottom which allows you to attach the recorder to a standard tripod. 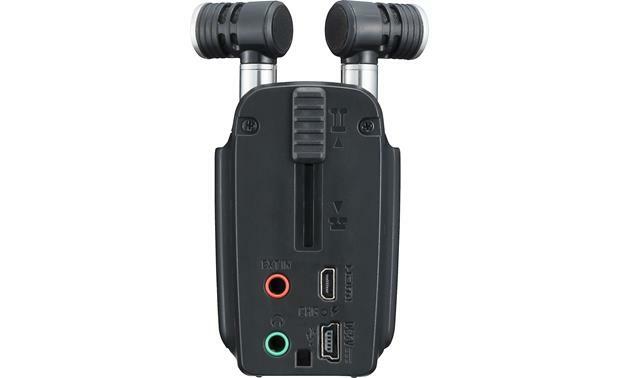 A 3-prong adapter is included that enables you to mount the Q4n on an action camera mount. Optional Mounts: Because of the versatility of the Q4n, unique mounts have been made available. The GHM-1 Guitar Headstock Mount lets you clamp the camera to the head of a guitar to give you an "on stage" experience. The MSM-1 Mic Stand mount lets you mount the Q4n to a microphone stand for recording live performances on stage or in the studio. These optional mounts are available directly from the manufacturer. We are using a mini-HDMI cable with USB on the other end and it charging well. Great little camera. 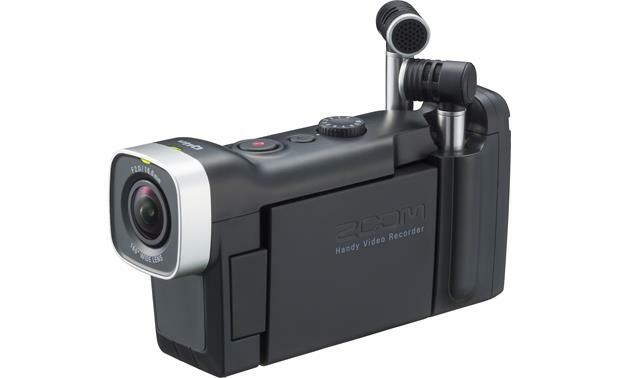 Searches related to the Zoom Q4n Video recorder with high-performance stereo microphones.